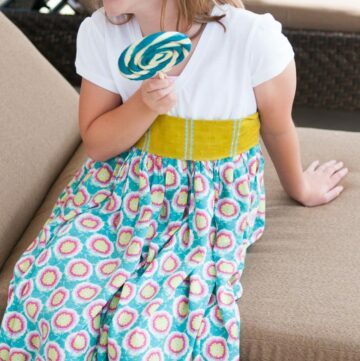 This is a dress I made for a friends baby girl last year… the fabric is from Heather Bailey, the pattern is Kristen’s Sundress by Bonnie Blue designs. This is part of a “feature” wall in my daughters room. 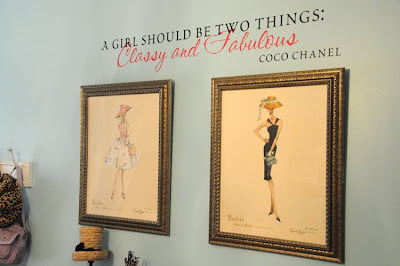 She loves fashion, so when we found these prints at Z gallerie I knew they would work in her room (btw… since z gallerie is going out of biz these are on clearance now). I had the quote cut from vinyl. This is an “organizational” project I have yet to perfect. This is our mud room. 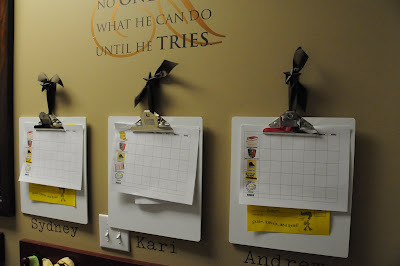 The purpose of these clipboards is to hold any notes, permission slips, homework sheets etc.. for each of the kids. I hung them from some stars I had left over from our last house. The top sheet is their chore chart… 1 check for each thing they do each week… then payment for total # of checks. It works great when we remember to keep it up- keeping it up is usually the problem. Our mudroom is set for a “revamp” in the next few weeks, so these will have to move… we will see where they “end up”. I have loved having them as a ‘catch all’ for the kids papers so I am going to try to keep them. You made your template and header work. I LOVE IT. So cute. I also still drool over that baby dress you made. I do want to know the pattern. I love your clipboard idea and your daughters room decor. Soo cute. Also, your blog looks great! I had to double check to make sure I was at the right one. I would love to have a special invitation to see your fam’s blog. I so liked peeking in and seeing your decorating style. My email is [email protected]. If you want to remain private from crazies like me, that’s cool too. 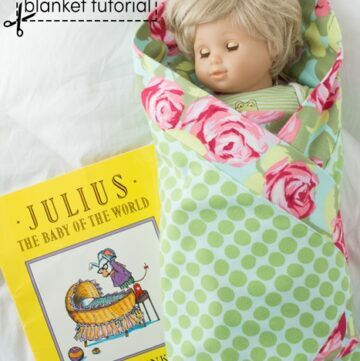 I would also love to get the pattern! oh, this dress is so adorable. I would so love to know what pattern you used. I am a beginner and I just love your blog. I am new to your site and I love it! Do you know what pattern this is? 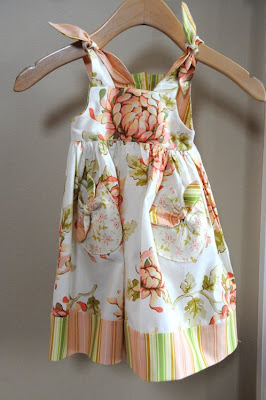 I am going through some old posts and really love this dress; it could work for fall with a shirt under it!